Our language modules help you with spelling, reading and writing. With a tablet, you can do more than just use the touch screen. 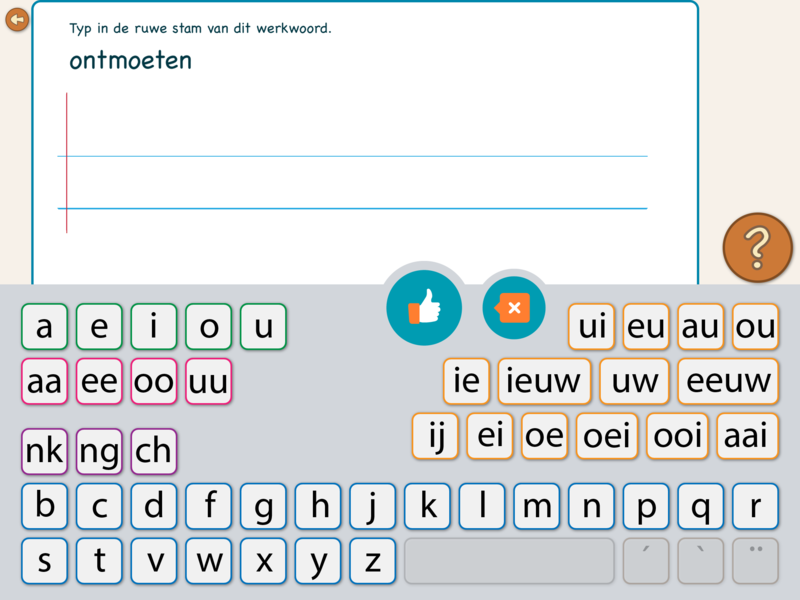 For the Dutch language module, which consists of various apps, we make use of the Dutch speech synthesiser and a unique sound keyboard. During dictation, you listen to the voice of the tablet and try to type the word with a keyboard that has very special keys. 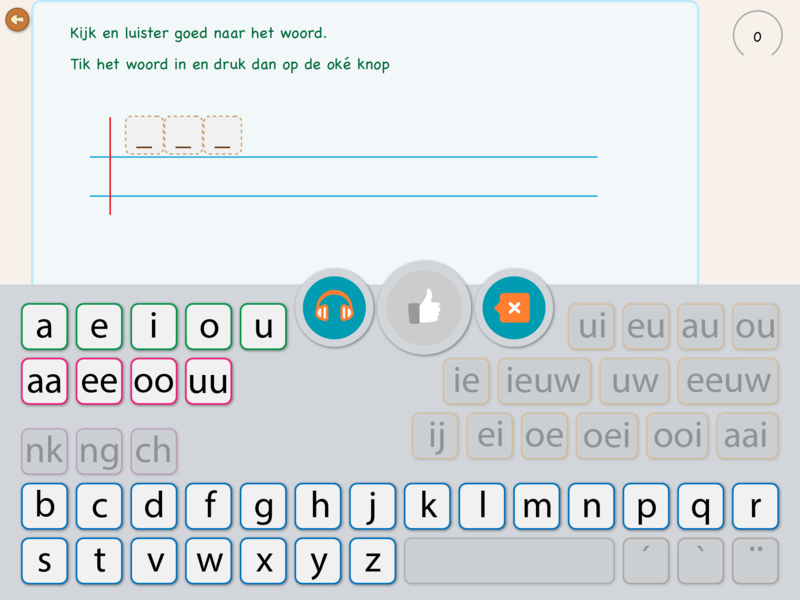 The familiar QWERTY keyboard does not help you to learn Dutch, which is why we have made a special keyboard for you where the letters like [ee] and [au] are also keys. Because of this, you understand much better how Dutch words are built up, and spelling exercises become a lot easier. Below you will find our Dutch language apps, which are currently available. In Dutch we know regular verbs, sound-changing verbs and irregular verbs. In this app, you learn to set these three groups of verbs correctly in the past tense and as the past participle. The Dutch language has no fixed rule for the use of articles, and you are often told that this language feeling should come naturally. 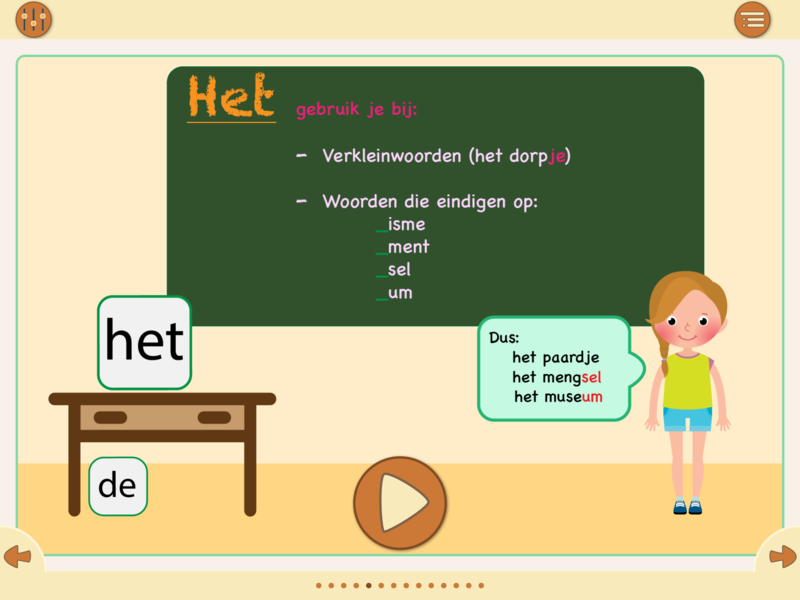 In this app, you practice the use of articles in the Dutch language, and you already take the first step to develop this language feel. 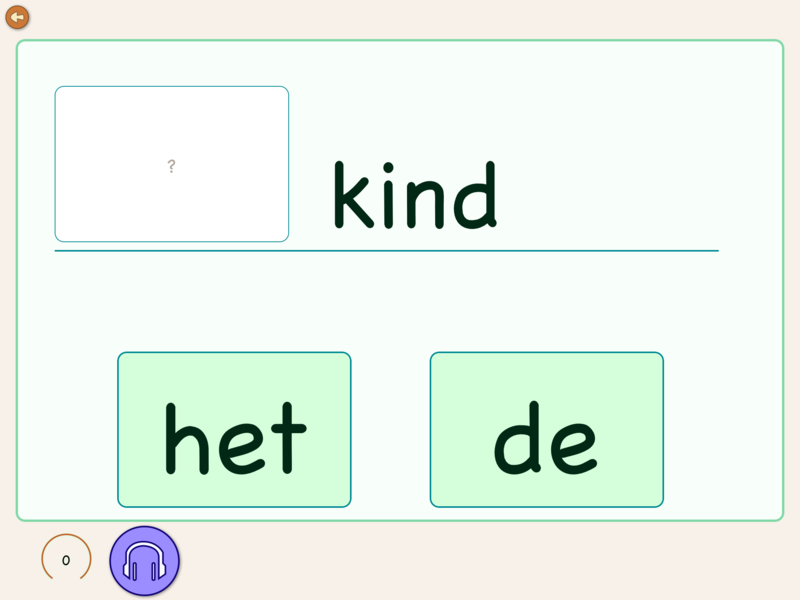 This app is designed for anyone who has trouble with splitting Dutch words into syllables. The app simply explains the theory in the form of instruction cards and contains seven exercises. In addition to the seven practices, the app also includes four tests where you learn to split up 200 common long words into syllables. This app contains eight fun exercises and one combined test. Each exercise includes one or two pieces of text that you must read carefully. You will then receive five questions about this text at random. Have you just started learning to read and write in Dutch? Then this is a beautiful practice app. This app contains many booklets, each with an exciting story. Each story includes four chapters, each with six exercises in which you can practice the so-called “consonant – vowel – consonant” words. Do you have trouble writing down words correctly in Dutch? Then this is an excellent practice app. This app contains ten booklets with sixty practice words in each booklet. You practice spelling these words in groups of fifteen words. The exercises are suitable for children in primary school (from 9 years).